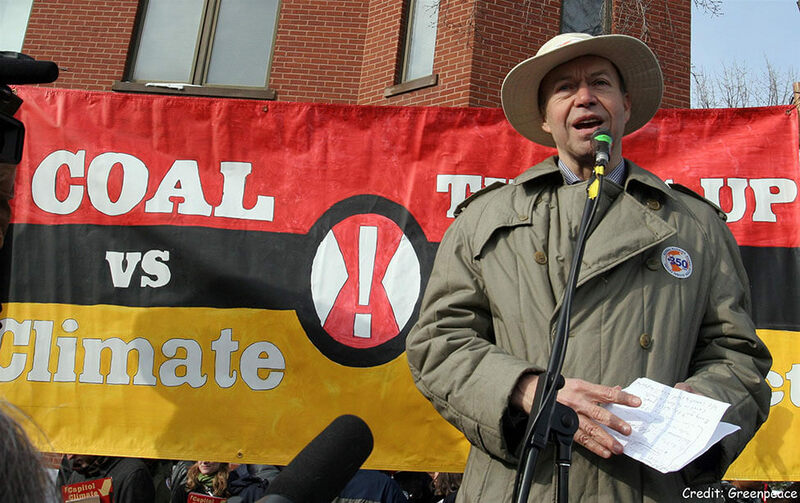 Internationally renowned climate scientist and area native Dr. James Hansen is on a mission. Thirty-five years after he and other scientists first reported that burning fossil fuels was creating a greenhouse effect that was warming the planet, the former head of NASA’s Goddard Institute for Space Studies and current professor at Columbia University is pressing for an immediate solution. The only solution that will work, he’s convinced, is one that would put a check in every person’s pocket. Bold Nebraska seized on the ark comment with its own online petition. Hansen believes the “ark” can be quite simple, what he calls Fee & Dividend. “The fundamental thing that is needed is to make the price of fossil fuels honest, to reflect their costs to society,” Hansen explained in an interview. “Presently the external costs of burning fossil fuels — the effect of air pollution, water pollution and climate change — are all presently born by the public and they are not included in the price [of fossil fuels]. The collection of the fee would be straightforward and would create a cascading effect if the world’s two biggest economies participated. Rather than use the fees collected to subsidize renewable energy or otherwise fight climate change, Hansen insists the revenues should be directly distributed back to the public, dollar for dollar. “If you put that money back in to the economy immediately by distributing it to the public, it actually stimulates the economy . . . The best way to fight climate change is to move to clean energies and . . . the best way to do that most efficiently is to let private industry do it. The last thing you want to do is give the money to the government and let them invest it. They have proven time and again that the private sector is a much more efficient use of money. I worked for the government for decades in one of the better agencies and that’s not what you want to do. Though Hansen highlighted the support of this idea from Republicans like former Secretary of State George Schulz and, albeit for only a day, Grover Norquist, he has always insisted he has no political affiliation. Hansen first wrote about this solution in 2009 and it was prominent in his 2014 Ted Talk. Calling the Paris Agreement “wishful thinking,” he says we need to learn from the failed cap-and-trade solution previously offered and mostly supported by congressional Democrats. “The cap-and-trade bill in the Senate was 3500 pages long because every lobbyist who could raise his arm to write a paragraph got it stapled into the bill,” said Hansen. “What you actually want is for it to be around one page. You want a very simple, honest system, where you don’t let the fossil fuel industry and every lobbyist get involved. Now that the argument over climate changes is ending around the world in all but the most conservative Republican circles in the U.S., Hansen is trying to move past that minor skepticism to a real solution. “[Skeptics] are not going to change their mind, even though the last year has been the warmest in recorded history and the last few months even warmer on a global average, but you can’t change the minds of people’s whose positions are based on ideology, not on scientific data. Hansen urges everyone to get involved in the Citizen’s Climate Lobby as the most effective action to take today to fight climate change. Find out more about the Omaha chapter here.